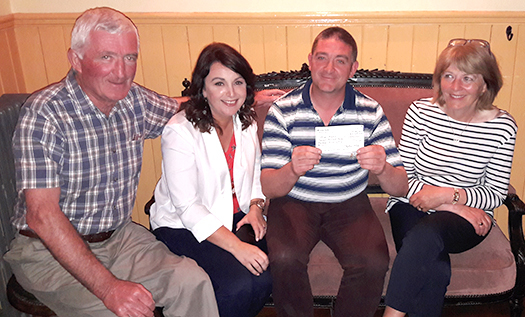 Joe Ryan, winner of the Kilmeena GAA lotto, was presented with his winning cheque for €7,700.00 at a reception in McGings pub recently. I believe a good night was had by all! 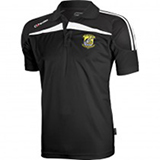 Everyone can be in with a chance to win, now that the club has made it much easier to play by clicking on the online Lotto Icon on the panel to the right, on the front page of the website. Paddy O'Grady hands over the the winning Lotto cheque to Joe in McGings pub High Street. Also in the photo is Mary Mulroy, John Moran and Johnny Nolan, himself no stranger to collecting winning cheques! Joe, showing off the "big numbers" to dad, Joe senior, wife Lorraine and mom Teresa.